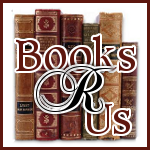 Ginger High- Books R Us: WELCOME TO MY MEDIEVAL CHALLENGE BOOTH (USA/CAN)-WIN SOME GREAT BOOKS. WELCOME TO MY MEDIEVAL CHALLENGE BOOTH (USA/CAN)-WIN SOME GREAT BOOKS. Good Day and welcome to my Medieval booth. The Medieval period was full of enchantment, chivalry, scientific discovery, castles, warlocks and so much more. I am giving away some great Medieval books and a $15.00 gift card to your favorite book store to one lucky reader. Allon Book 1 by Shawn Lamb. The River King's Road by Liane Merciel. A Trail of Ink by Mel Starr. A $15.00 Gift Card to Amazon.com, Borders.com, or Barnes & Noble. I want to thank the hosts of the hop- Candace’s Book Blog, Reading Angel, Pure Imagination, and The Book Swarm. Good luck and have fun! Answer 2 out of 4 questions about the Medieval period. The winner will be drawn from correct entries. Do not Fret! The answers will be easy to find. Click on the link next to each question to find your answer. Answer all 4 questions correctly and receive 2 additional entries into the giveaway. Enter via form only. No comments will be accepted for entry but I love to hear from my readers. Contest ends on 5/11/11 at 11:59pm EST and winners will be chosen by Random.org from correct entries by 5/13 and will be notified by email. The winners have 48hrs to respond or a new winner will be chosen. This was right up my alley! Fun Fun Fun! thanks for a great challenge. Thanks for a fun time. Enjoyed the search and learned something new! Thank you for hosting this giveaway for the Spring Carnival Blog Hop !! !